This article was originally posted on Fishing Tackler Retailer. by Joe Sills Sr. The lure company named “Arbogast” lives a relatively quiet life today. Yet, at a time not too long ago, that name stood among the top of all popular lures. 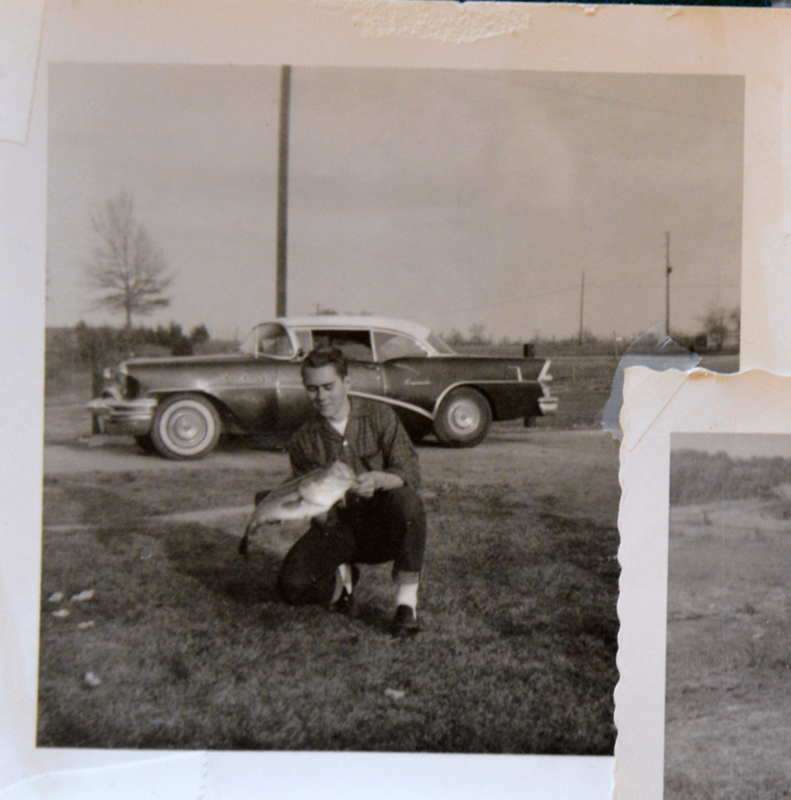 I was reminded of this recently while watching one of the Bill Dance TV shows when Bill stated he caught his first lunker bass—all of two pounds—while fishing with his grandfather in a Middle Tennessee pond. What topwater lure brought this “monster” to the net? If you are over fifty, you probably guessed right….the famous Jitterbug! The Fred Arbogast Company began in Akron, Ohio, when Fred began making lures at home. His hand made lures, like so many others home lure makers, became so popular that he began mass production in 1926. His first lures were metal. The Spin Tail Kicker and Tin Liz launched Arbogast into a company that employed one hundred and continues today. Fred was a competitive caster having won several National Championships until his passing in 1947 while participating in an ice skating exhibition. At one time, he held the World Distance Casting Record at 250 feet. It was produced in several sizes, from the original 5/8 to the peanut size. One of the most popular was the largest Muskie size that sported three treble hooks instead of the standard two. The weedless model had a two-hook setup as well as an original rubber “Hula” skirt. There was also a later jointed version. The plastic version was introduced in 1941 and, during the War, also sported a plastic lip and tin lure hangers, due to the shortage of aluminum. The most popular color was black with the frog pattern a close second. The Hula Popper was introduced in 1941 and it too was an innovative top water lure , with its “Hula” skirt that was actually patented in 1938 for the Hawaiian Wiggler spinnerbait. This lure could be popped on top “morning, noon, and night” as it was advertised to draw bass from weedbeds, sunken logs, and deep water. At rest, the tantalizing movement of its “Hula” skirt was and still is just too much for a bass to resist. The most popular color was the green frog pattern with white or yellow belly. Buzzbaits have been around for decades, however the grandfather of today’s design was introduced in 1946. The Sputterfuss was a version of the Hawaiian Wiggler that was designed to be buzzed at high speed on top. The difficulty of the day was reeling fast enough with those low gear ratio reels and short, stubby, metal rods to get it on top and keep it coming. It never sold like the other two Arbogast lures. In 1956 Arbogast introduced a floating version called a Sputterbug featuring a plastic body, Hula skirt, and a buzz blade. Old designs such as these are just as effective as modern lures when used under the right conditions. They are particularly effective in small waters that can be fished thoroughly in a given period of time. Modern big water, bass fishermen might consider using them in some tournament situations such as pad fields, grass beds, or schooling fish. After all, how many bass have seen these “new to me” creatures? Go get ‘em! This entry was posted in Articles on May 7, 2014 by DHopper.